Do you know where to start with your GDPR compliance? The new legislation, arriving in May 2018, will impact all areas of our businesses and require changes to the way in which we process personal data. For in-house recruitment teams, the level of data processed each day is phenomenal. From talent pooling to sourcing candidates on social media, how can you prepare for GDPR compliance? 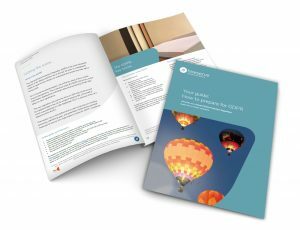 Working with Osborne Clarke, a renowned international law firm, we’ve created The In-house Recruiter’s Guide to GDPR for you to download and keep. The In-house Recruiter’s Guide to GDPR is your companion to working towards compliance.